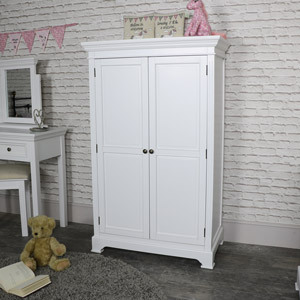 Our Daventry White console/dressing is a stunning piece of furniture that will look great in any bedroom or hallway. 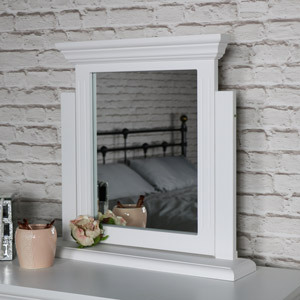 Painted in a white colour with simple clean lines that will suit any décor. 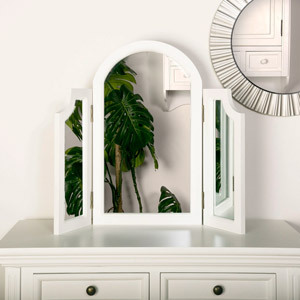 This dressing table will not only complement your décor but add a feeling of light and space and brighten up your bedroom. 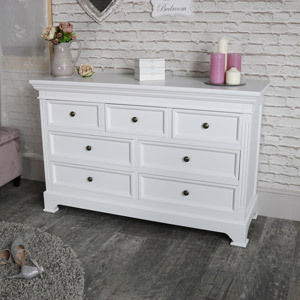 With 2 drawers for storage, this gives you a great storage solution for makeup, brushes, accessories and all your little bits and bobs. 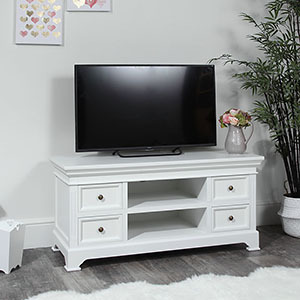 Additional surface space for you to display ornaments and displays. 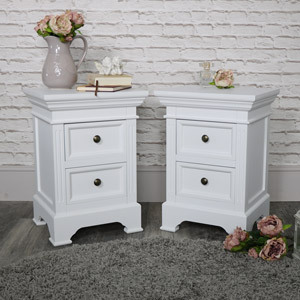 The drawers are each fronted with round brass drawer knobs that add to the overall look of this fabulous dressing table. 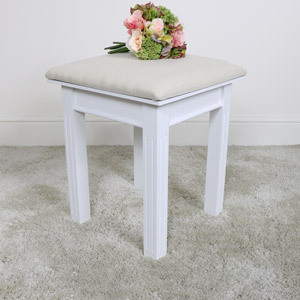 The table does require some assembly but this is quick and easy to do with just the legs to attach and you’re ready to go. 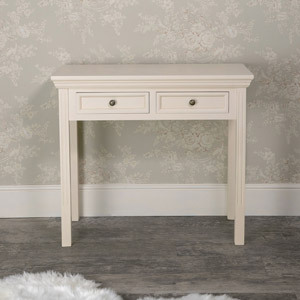 Our Daventry White console/dressing is a stunning piece of furniture that will look great in any bedroom or hallway. 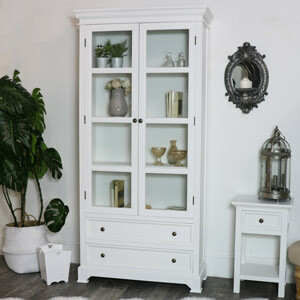 Painted in a white colour with simple clean lines that will suit any décor. 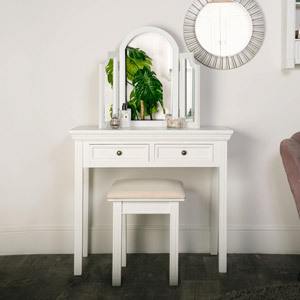 This dressing table will not only complement your décor but add a feeling of light and space and brighten up your bedroom. 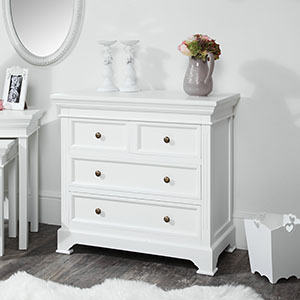 With 2 drawers for storage, this gives you a great storage solution for makeup, brushes, accessories and all your little bits and bobs. Additional surface space for you to display ornaments and displays. 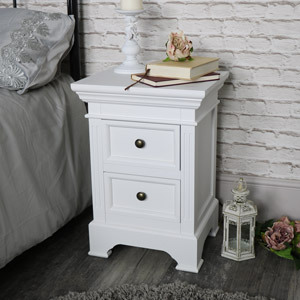 The drawers are each fronted with round brass drawer knobs that add to the overall look of this fabulous dressing table. The table does require some assembly but this is quick and easy to do with just the legs to attach and you’re ready to go. 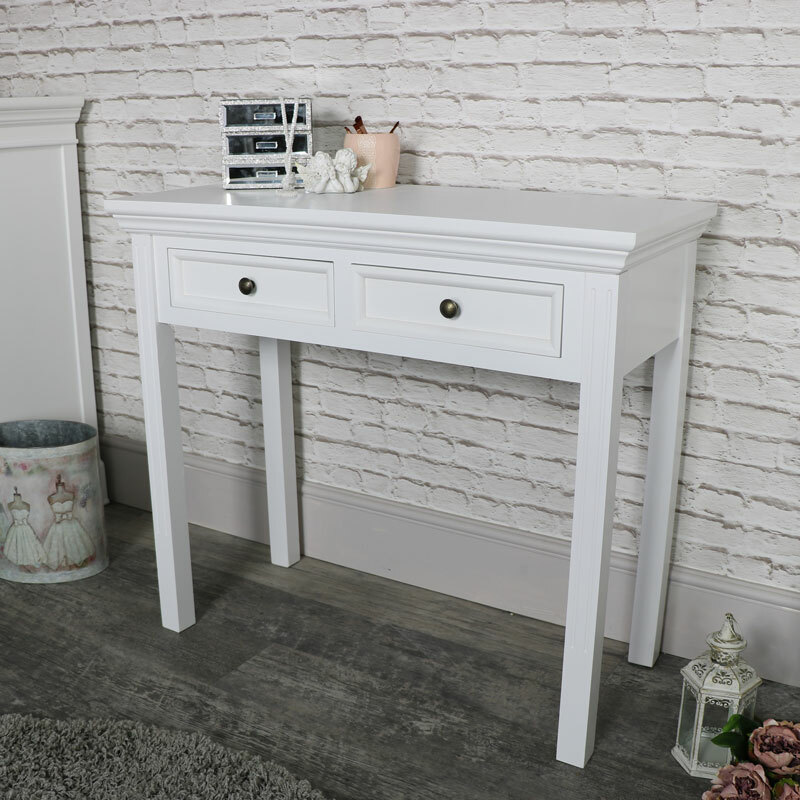 Painted white, this table is measures at 91cm x 81cm x 41cm (Width x Height x Depth) and the drawers each measuring 31cm x 78cm x 27.6cm (Width x Height x Depth). Only the Legs need to be bolted on, this takes 5 minutes max.